Carlotta Louise Scott Jenkins, age 64. Sunrise September 11, 1951 and Sunset November 20, 2015. 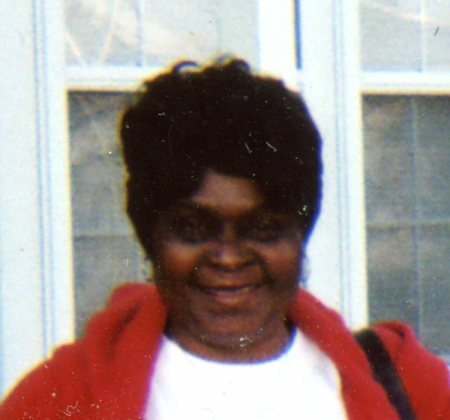 Carlotta worked at Columbus Metropolitan Housing Authority. She was preceded in death by her parents Ruby Givens Smith and Claude H. Scott Sr., husband Jessie Jenkins, and brother Carlos Louis Scott. Left to cherish her memory, daughter Tonya Scott, sons Dallas Scott Sr., Jessie Scott, Darus Scott and James Scott, brothers Robert (Shirley) Cason, Claude H. Scott Jr., and George (Vivian) Scott, 10 grandchildren, 9 great grandchildren and a host of other family and friends. Visitation 11am and Funeral 12 noon Wednesday December 2, 2015 at MARLAN J. GARY FUNERAL HOME, THE CHAPEL OF PEACE 2500 Cleveland Ave. Interment at Green Lawn Cemetery. Ministry of Comfort entrusted to MARLAN J. GARY FUNERAL HOME, THE CHAPEL OF PEACE 2500 Cleveland Ave.
Dear Jenkins family. I am so sorry to have read of the death of Ms. Carlotta. Please accept my sincere condolences. I would like to share something that I have personally found to be comforting. It is found in the Bible at John 5:28, 29 and Revelation 21:4. These verses tell us that soon God is going to bring about a resurrection of our dear loved ones as well as do away with all causes we have for suffering, including sickness and death. Knowing this has always comforted me and it is my hope that these thoughts will comfort your family also. I have found additional comfort at http://www.jw.org.